Archive by category "New Stuff"
This is a six part Turkish/Klezmer tune that Stu Lipkowitz played for us at the 4-14-16 Klezmer jam in Albuquerque, NM. become classics. Certain tunes also seemed worth revisiting because fresh versions might stir up renewed interest. We hope that the musicality of our settings stirs fresh enthusiasm for these grand old classics. For good measure, we’ve also included a number of wonderful tunes never released before. 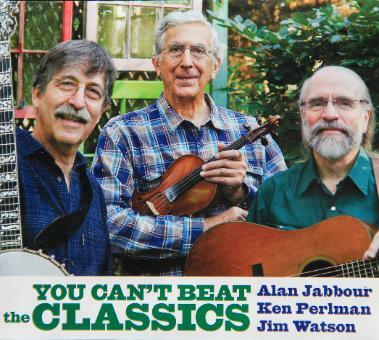 Ken Perlman and Alan Jabbour have been playing music together for fifteen years, and ten years ago they released a CD of fiddle-banjo duets, “Southern Summits.” “You Can’t Beat the Classics” sounds more “band-like” thanks to a third musician, Jim Watson, who joined Alan on the second Hollow Rock String Band LP in the early 1970s.